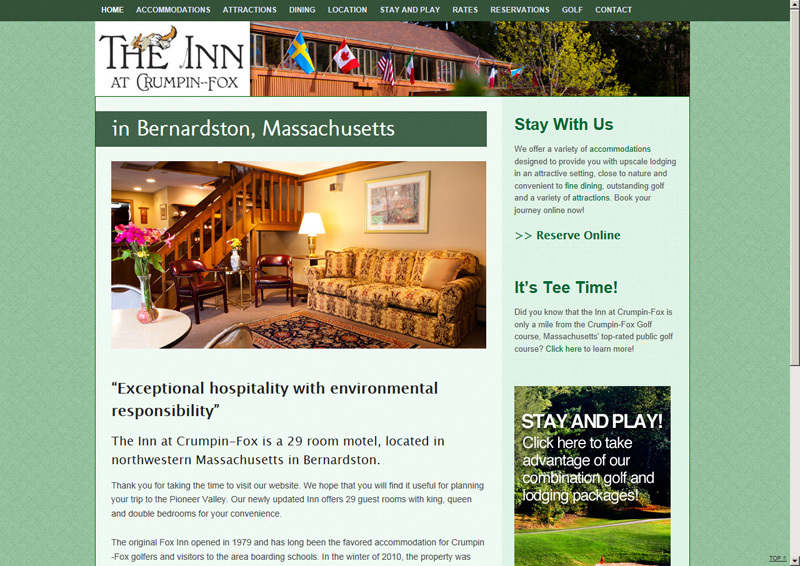 Client Testimonial: "This is just a note to thank you for the excellent work you did in creating our website for the Crumpin-Fox Inn. Your patience, availability, creative ideas and professionalism were all hallmarks of the porject and these factors continue to make me a partisan of Aardvark in web design and other online business matters. We are pleased with what we now present to potential customers."